Reva Engineering Enterprises is an ISO 9001: 2008 Certified Company, based in New Delhi, catering to the needs of a number of industries. The company is a name to reckon within in the field of manufacturing, exporting, and supplying of different types of machines. Our range includes Construction Machine, CLC Block Making Machine, Manual Earth Block Making Machine,Hydro Power Plant Equipment, etc. Amusing our customers with our terrific performance, we have held our status as a top name in the industry. 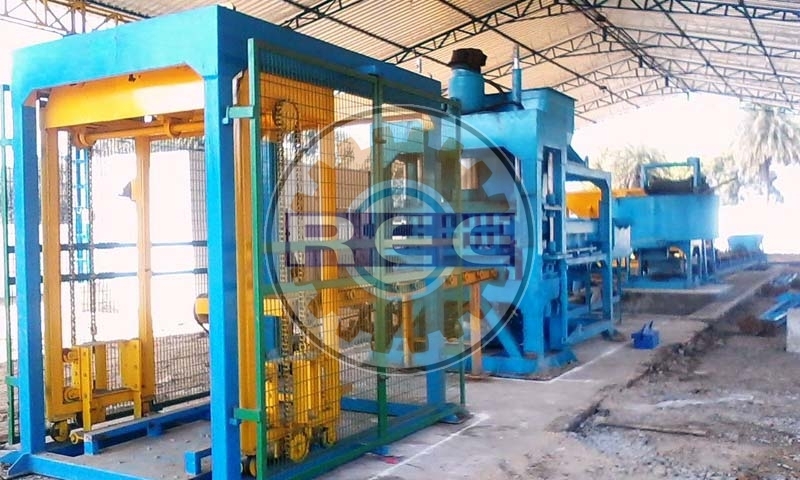 We feel elated to present Fly Ash Brick Making Machine (RBM-30) to our customers. We undergo a methodical process of vendor selection to obtain raw materials only from the vendors who are capable to consistently deliver top notch quality. It is available for marginal rates. Heavy structure body with four nos. of shaft to guide the Ram Punch of Mould, Electric Panel (With Mitsubishi PLC,) Limit Switch/Proximity Sensors, Hopper, Cylinder Made by Honed Tube. Piston Is Hard Chrome. Hydraulic System - Hydraulic Power pack of 300 Ltr. Capacity, with Flange type motor, Douty Gear Pump, Yuken Valves, Oil filters at Incoming , outgoing and return line. Electric Motor 20HP 3PH of Crompton / Havells, Complete With Power Pack , Water cooler arrangement. Brick Mould - (24Cavity). 24 Bricks/Stroke with Frog (Name in Brick). Pan Mixer - 2 No. “Reva” Pan Mixer having capacity of 650 Kgs. fitted with 2 Nos. heavy C.I.Rollers, fitted with changeable bottom wear plates fitted with mixing and discharge blades, having special alloy steel tips, complete with quality Worm Reduction Gear Box of Elecon/Roto-Reva powered by 20 H.P./Electric Motor of Kirloskar/Crompton/Havells make With starter. Pallet Trucks - 2 Nos. “Reva” Pallet Trucks are fitted with Pneumatic Tyres, and manual dragging arrangement with lift capacity of 1000 Kgs. Pallet Conveyor - Finished Bricks Conveying Conveyor 12 Feet Approx, Powered by 1/2 H.P. Geared Motor.